The post Christmas blues have hit me hard y'all. Seeing people take down their trees and decor on Snapchat is like a knife through the heart (okay, maybe I'm a tiny bit dramatic...) and isn't helping with my extreme sadness that another Christmas has came and went. I'm still watching Christmas movies, sipping coffee (or hot chocolate) out of my Christmas mugs, sleeping with my Christmas tree on, and listening to Christmas music on repeat and I have no plans of stopping. It may not be Christmas Day anymore but its still the Christmas season and I'm going to let in linger as long as possible! Why can't everyone else do the same?! 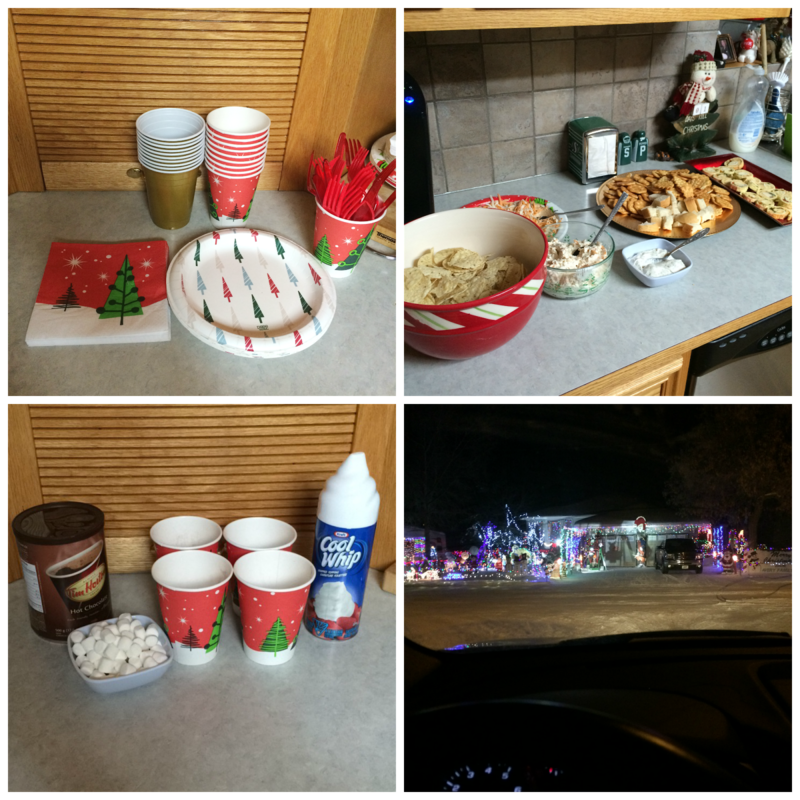 Christmas Eve was a flurry of last minute prep. 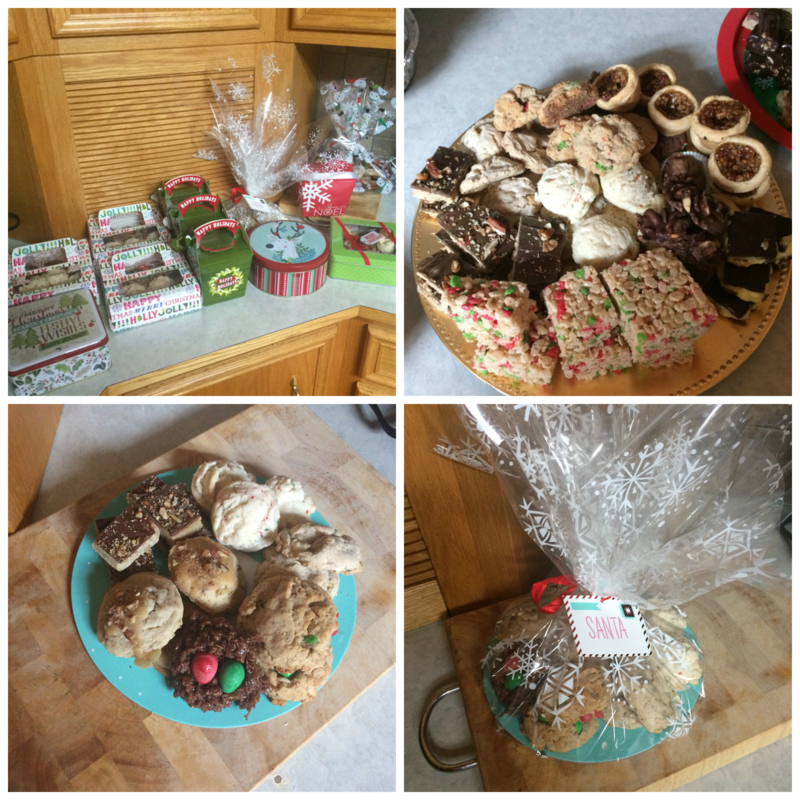 My brother would have disowned me if there weren't any Eat More Bars under the tree for him so it was Round 4 of Christmas baking for me. I made a pan of that (half just for Kenton), a pan of Rice Krispie cake (because I had holiday Rice Krispies and couldn't let them go to waste! 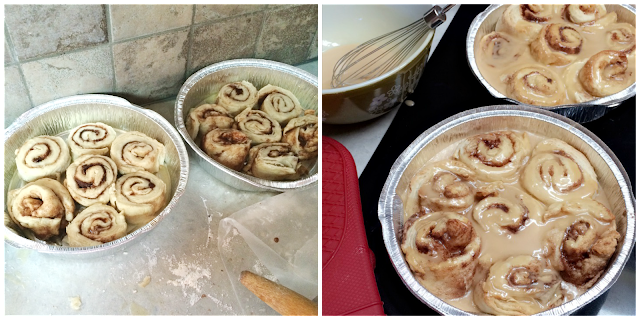 ), and I also made the Pioneer Woman's Cinnamon Rolls for the first time ever. I've been wanting to for the longest time but it seemed like so much work that I kept putting it off. I actually found a recipe online that cut her recipe in half so I used that one - now I'm mad that I did because we're officially out of them - the horror! I sent a tray of baking home with Kenton and Kels on Christmas Eve and a bunch more with my sister (she had already taken her tray home) and there were still two huge trays of baking left at my parents house after all the other deliveries. 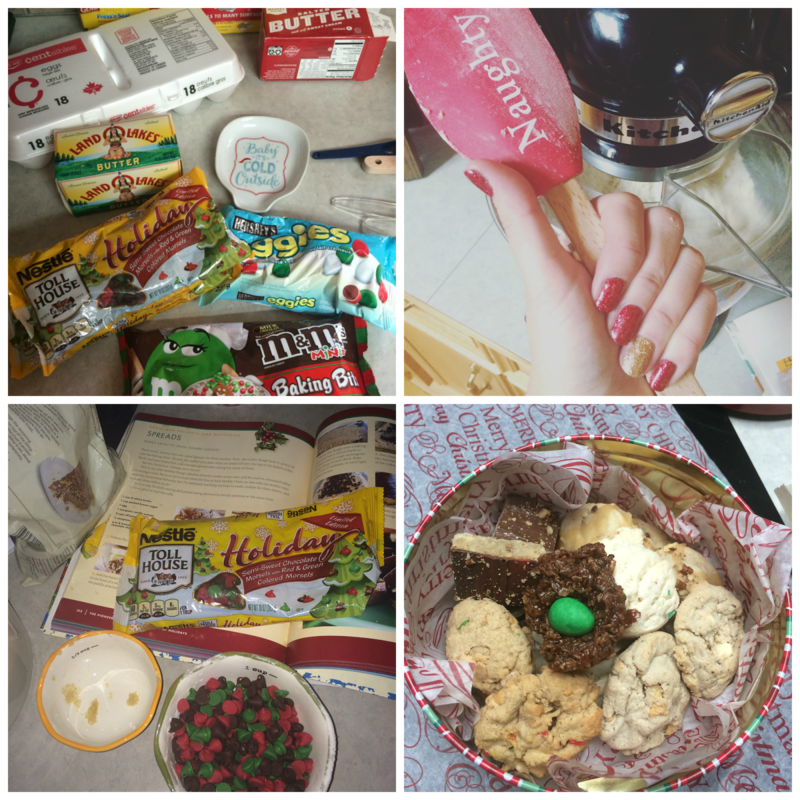 I also have quite a bit of leftover baking supplies so I see a lot of baking in my future for the month of January. Not that I mind one bit - I love doing it and ever since buying my Kitchen Aid mixer a couple years ago it has made baking so much simpler. I'll just have to start doing two a day workouts since I'm starting fresh again in January with my Beachbody workouts. Just before making the Eat More Bars I realized that we barely had any peanut butter so it was off to the grocery store, which was a complete mad house. Why anyone leaves their Christmas grocery shopping until the day before Christmas I will never know - I'd be too worried they'd be sold out of things I need! Thankfully I just had the one thing to pick up so I was in and out of there with no interruptions. I also had to stop at the liquor store, atm, and a convenience store to grab some last minute gifts and stocking stuffers - nothing like leaving things until the last minute! We had an appetizer supper on Christmas Eve - a new tradition that started last year. My brother and sister in law had Christmas dinner with her Mom's family and my Dad had gotten called out to work to go rescue someone stuck in all the snow so it was just me and Mama, and then my sister, her boyfriend, and the girls showed up just as we were ready to eat. After supper we bundled up and hopped into my SUV with our hot chocolate in hand to head out on our annual Christmas Eve Twinkle Tour (Toni and her bf stayed back at the house). I love this yearly tradition so much, even if the wind was howling and blowing and we froze just getting out to my vehicle. The girls were quite concerned over the lack of Christmas lights on some houses and made sure to call anyone without lights a Grinch. There's a man in town that completly decks out his house every year so of course it was the last stop of our Twinkle Tour - the girls loved it! If you haven't realized already, I'm big on traditions at Christmas. One of our yearly traditions is to watch Christopher the Christmas Tree on Christmas Eve (you can read the story behind it here). 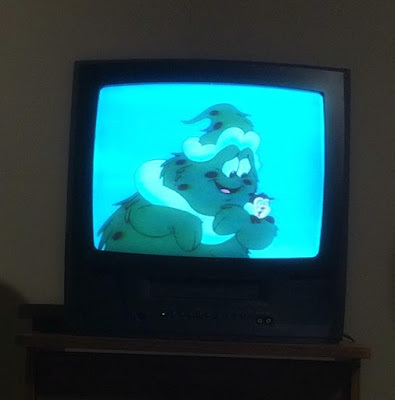 I only have a copy on VHS so Kenton, Kels, and I headed down to the basement (after the girls and Toni headed home so Santa could come to their house) to the spare bedroom that holds all my exercise equipment (and also my tv with built in VHS player) to watch. Kenton and I know every word of the movie by this point - I just love it so much! After finishing wrapping presents (while watching another Christmas movie of course) I carried all my presents upstairs, tidied up my room, folded some laundry, threw another load into the washing machine, and then finally sat down on the couch with a cup of coffee (and a cinnamon bun) to wait for the rest of the family to show up. If it were up to me they would all be at the house at 7 am because the waiting just kills me! Everyone finally showed up to the house around 10 and after getting presents brought in it was finally time for the girls to start opening their presents. I am so excited that next Christmas there will be another Mathison baby to spoil and he'll be at an age where he can open presents! Present opening usually takes at least an hour at our house because everyone always gets SO spoiled. My brother videos the whole thing and when we rewatch it each Christmas we can't believe how long it actually takes because it doesn't feel that long in the moment. After opening presents it was time for another tradition - Christmas brunch. My dad always makes a big breakfast for us after opening presents. After an hour of present opening its much needed! After breakfast we drank mimosas, played some games, and before we knew it it was time for Toni and the girls to head off to Christmas supper with her boyfriend and her family - the first time we haven't had the whole family together for our Christmas supper! After Toni and the girls left we played Watch Ya' Mouth - Kenton/Kels had gotten it for Christmas. It was SO much fun. We were all dying with laughter the entire time. It's definitely a new favourite! Then it was time for Christmas supper. Mama Bear makes the best Christmas supper ever. 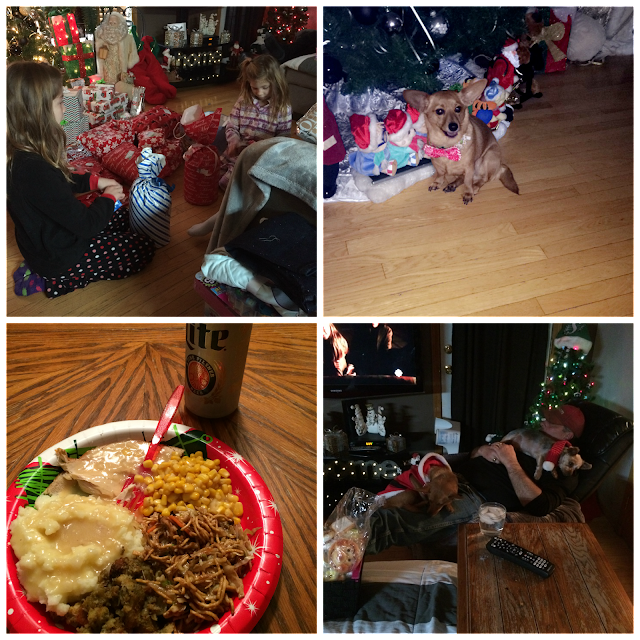 We were all in food comas afterwards, even the dogs! 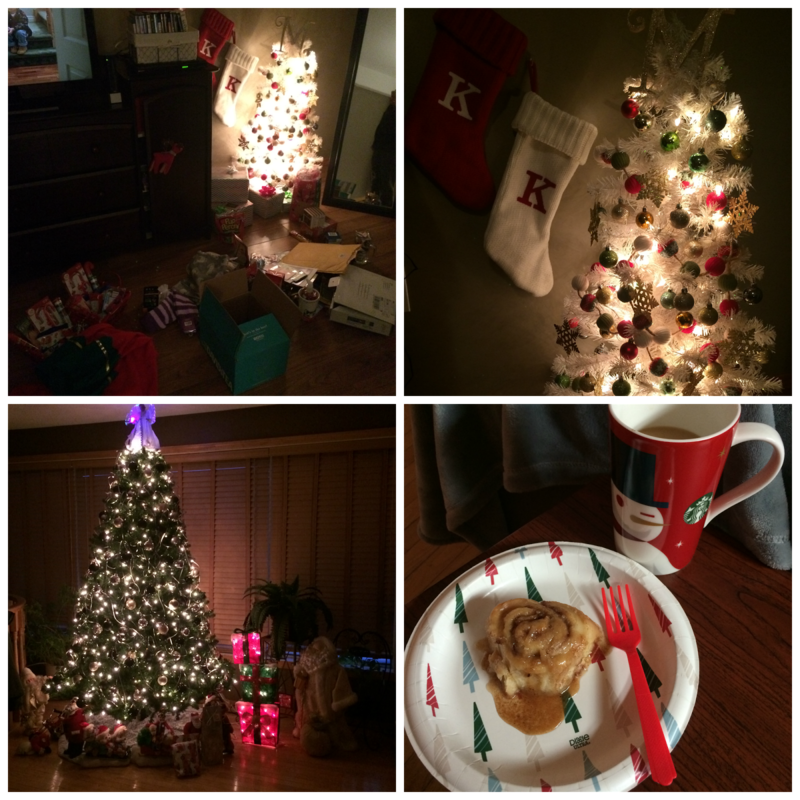 I got some great gifts from my family - I'll be showing them off in a 'What I'm Loving' post in the New Year. Unfortunately the scratch tickets I put in my parents stockings didn't turn out to be big winners so we weren't able to jet off on a hot holiday to escape the Christmas Blizzard of 2016. 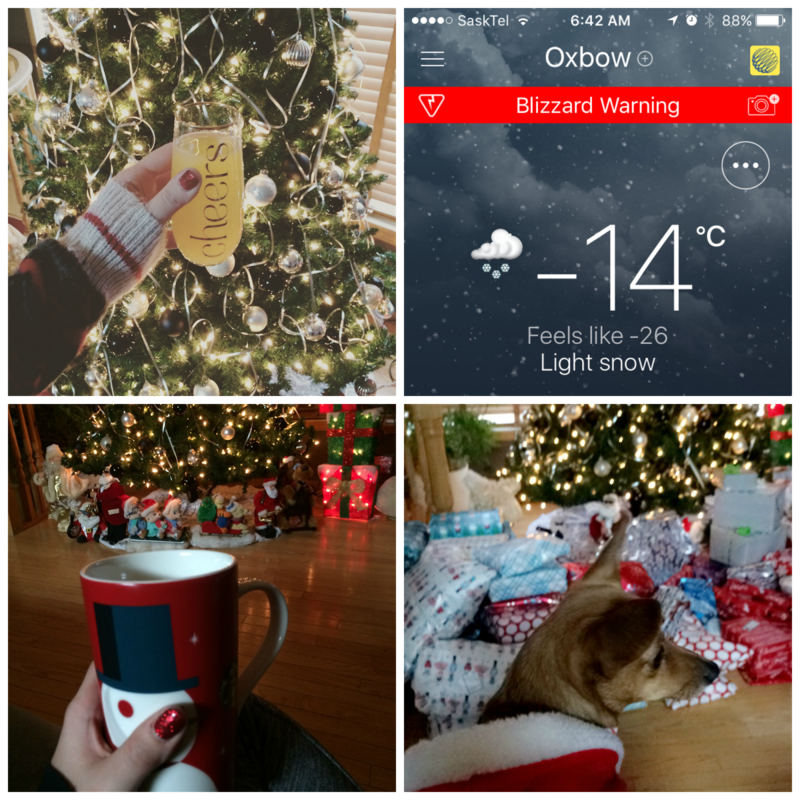 Yep, that's right we were so lucky to be blessed with a blizzard for Christmas. Between shoveling at home and at work my arms feel like they're going to fall off - I've been getting in some good workouts though! The blizzard prevented my siblings from making it to my parents until mid afternoon on Boxing Day - I pretty much spent the whole day in bed watching Christmas movies and listening to the wind howl. 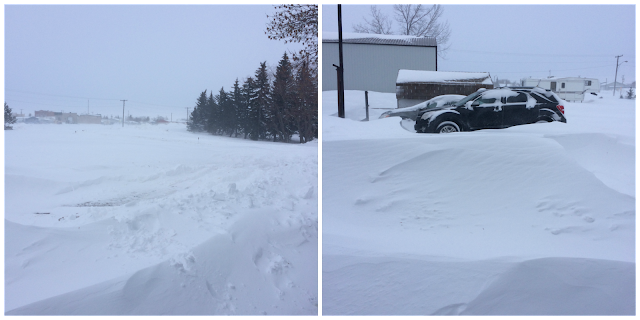 I didn't leave the house other than to shovel my car out so I could get to work the next day. Once my siblings finally made it to town it was time for another Christmas tradition - watching 2015's Christmas videos. Christmas isn't quite over for me yet - MN and I still have to exchange gifts. I'm heading there this weekend for New Years so we'll exchange our gifts then. I've wrapped all of his gifts and now I'm worried that when I cross the border they're going to unwrap them all on me... I guess we'll see! There is supposed to be another blizzard rolling in so fingers crossed for me that I'm able to make it to Minot before it hits! Hope y'all had an amazing Christmas! Ugh, I feel you on the post-Christmas blues. I don't understand people who are already taking down their decorations. I mean, Christmas Day may be over, but it's still Christmas season for a while yet! Speaking of, I think everyone should keep their Christmas lights on all winter. It would sure make me a lot less depressed about the cold, snowy weather. It actually took me and Jordan over an hour to open our gifts this year and there was only two of us, so that goes to show how much we spoiled each other, haha. I got him the Watch Ya Mouth game too but we haven't tried it yet. Hope you have a great weekend!